Follow the latest from our students at the Ithaca College London Center. 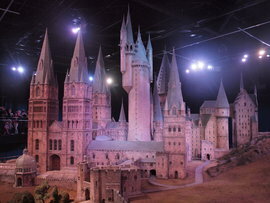 This model of Hogwarts is used for overhead shots in the Harry Potter movies. As a reward for finishing all of our exams and assignments, my flatmates and I took an afternoon trip to the Harry Potter Studio Tour right outside of London. I should preface this post by saying that I'm a pretty big Harry Potter fan (I may have had a Harry Potter birthday party in the fourth grade...), so I apologize for the nerdiness that's likely to ensue. The Harry Potter studios opened to the public in March, and it's been teeming with Harry Potter fans ever since. Getting to the studio in Watford was simple — just a 20 minute, £6 train and bus ride — and we were staring at Mr. Weasley's Ford Anglia and the doors to the Great Hall. One of the great things about London is how the city makes an effort to keep things somewhat affordable for students with discounts on the Underground and train fares. The Harry Potter tour must have been popular with IC students, because my flatmates and I ran into another group ICLCers when we arrived at the studio. 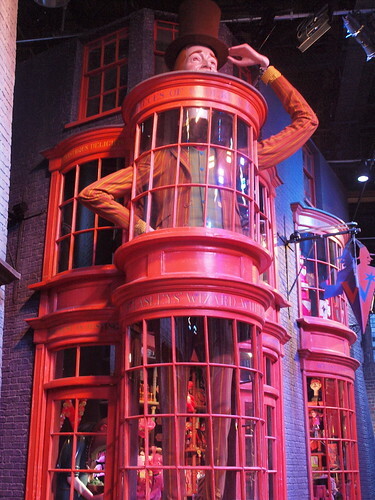 If you're even the slightest HP fan, a visit to the studio tour is completely worth it. 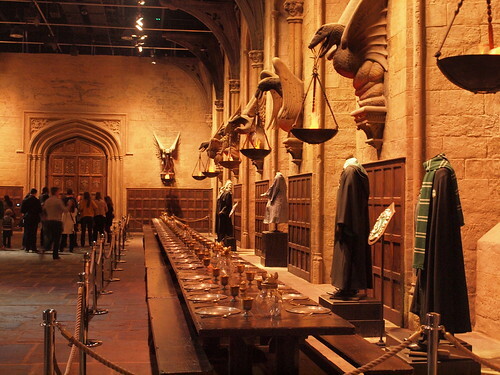 Snape's potions classroom, Dumbledore's office, the Gryffindor common room, Hagrid's hut — it was all on display. 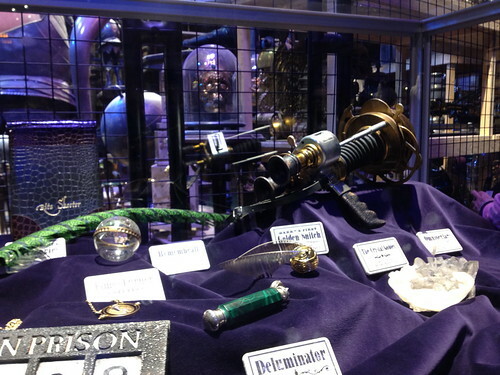 Neville's Remembrall and the Golden Snitch that Harry accidentally swallowed back in book 1 were even lying around. We meandered through Diagon Alley, tasted some butterbeer, and spent way too much time taking photos of the giant model of Hogwarts that the filmmakers built for all of the overhead shots of the castle in the movies. There's even a section where you can try on a set of Quidditch robes and ride a green-screened "broomstick." The gift shop was at the very end — basically a Harry Potter fan's dream — which sold everything from Prefect badges and Quidditch gear to those gray uniform sweaters (or jumpers, to be British about it) that Gryffindors wear under their robes. I probably could have spent all of my remaining pounds there, but I settled on a replica of Hermione's wand (my favorite character) and a Ravenclaw scarf (my house, according to J.K. Rowling's Pottermore quiz). When we got back to the city later that night, my flat decided to pop in Harry Potter and the Half-Blood Prince. You know, just to compare what we'd seen at the studio to the movie. It was the perfect way to spend one of our last few days in London.